BURNSVILLE, N.C. – Actors take the stage for the 70th season at Parkway Playhouse Saturday, May 7. The first production is “Steel Magnolias. ”The Mainstage Season runs until Oct. 8, including four plays and two musicals. One standout is “The Ballad of Frankie Silver,” June 4-18. The play is based on the novel by New York Times best-selling author Sharyn McCrumb. It involves the real-life story of Frankie Silver, who was convicted of killing her husband, Charlie, and in 1833 became the first woman hanged for murder in North Carolina. McCrumb will come to Burnsville for the play’s premiere. She will lead a presentation and gravesite visit to the final resting place of Charlie Silver, about 12 miles from downtown. Another highlight is the Pulitzer Prize-winning American comedy “You Can’t Take it with You,” Aug. 27-Sept. 10. Christopher Hart — a two-time Tony Award winner and son of one of the play’s original writers — will direct the production. 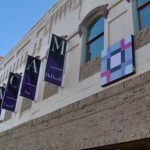 The play is part of Pulitzer NC, a program by the N.C. Humanities Council to connect audiences with Pulitzer Prize-winning works. “Our intent is to impact people’s lives while in the theater, but also to give them something positive that they take with them for a long time,” says Andrew Gall, artistic director. Parkway Playhouse was founded by English professor William Raymond Taylor. Originally known as The Burnsville Playhouse, its first production was “Claudia” in August 1947. In addition to its Mainstage Season, the theater runs Parkway Playhouse Junior, a theater-arts education program for preschool through high school students, and Get the Hook, an improv comedy troupe for teenagers. “Little Shop of Horrors” (July 2-16), “West Side Story” (July 30-Aug. 13), and “The Great Gatsby” (Sept. 24-Oct. 8) round out the 2016 Mainstage Season. 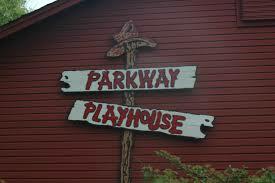 For more information about Parkway Playhouse and to purchase tickets, visit www.ParkwayPlayhouse.com or call (828) 682-4285. For accommodations and area information, visit www.ExploreBurnsville.com or call (828) 682-7413.